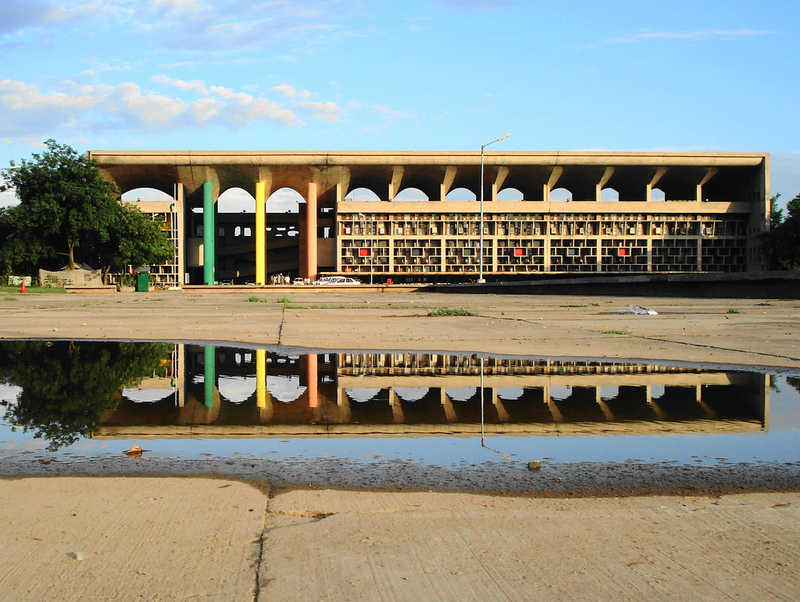 Punjab and Haryana High Court designed by Le Corbusier in the city of Chandigarh. Le Corbusier designed Chandigarh at the request of Indian Prime Minister Jawahar Lal Nehru. The High Court was completed in 1955. Photo courtesy of Wikipedia Commons. Yes, I know I began today’s column with the photograph of a building Le Corbusier designed in a city he was asked to build by the Prime Minister of India. I could not resist showing you the Le Corbusier High Court. Sadly, a discussion of this photograph as well as the work of Le Corbusier and other builders of cities will come in a future column. Honor to Patrick Geddes, father of community planning. 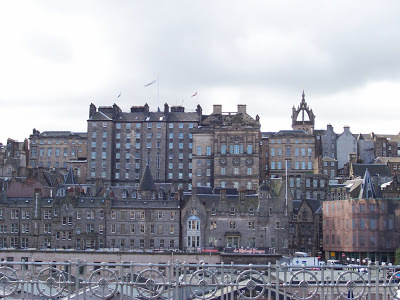 I begin this column with a serious appreciation of the contribution Patrick Geddes made to understanding the design of cities. 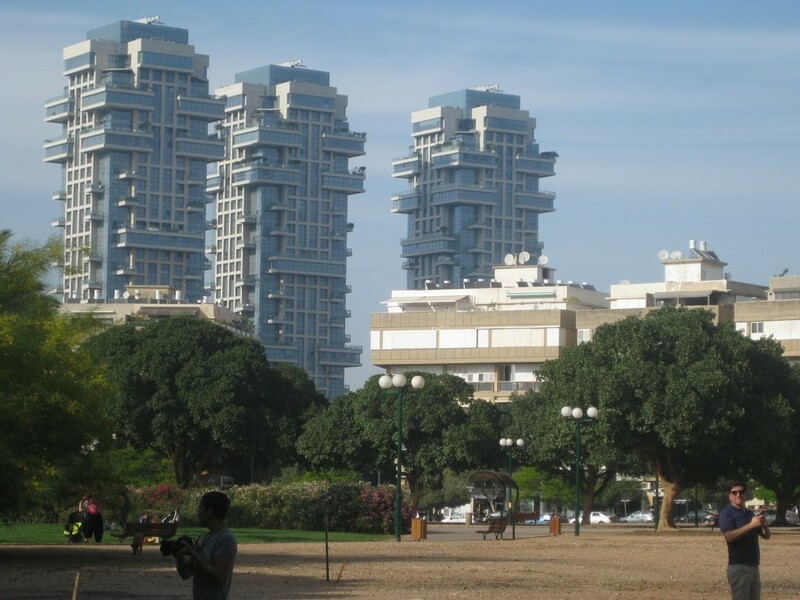 It was Patrick Geddes who planned the city of Tel Aviv. Sometimes critical of the object of my own enthusiasm (one has to be carefully sometimes), I consulted with a real live town planner to double check on the application of Patrick Geddes (1854-1932) to the real world. I just received your message. Yes, Geddes. I did have the pleasure of reading Peter Hall’s excellent book “Cities of Tomorrow” in graduate school wherein he writes fairly extensively about Geddes. I also enjoyed reading one of his intellectual descendants – Benton MacKaye – while doing some zoning work on the Appalachian Trail. 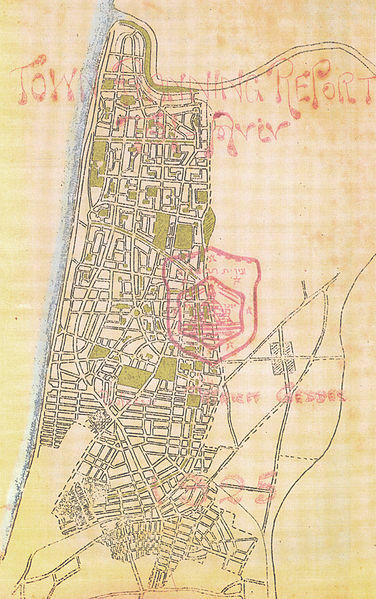 It has been fifteen years, so I cannot cite chapter and verse; however, any regional planner is indebted to Geddesian theory and the thought that we must “survey before plan.” I think he wrote that we must diagnose before designing a treatment. I have always embraced the ethic that we as planners must understand how our community works before we can seek to shape its form, function and direction. I need to prepare for my next meeting, but I would enjoy talking with you more about planning theory sometime. Are you a coffee drinker? The problem with appreciating Geddes is Geddes makes appreciating him difficult. 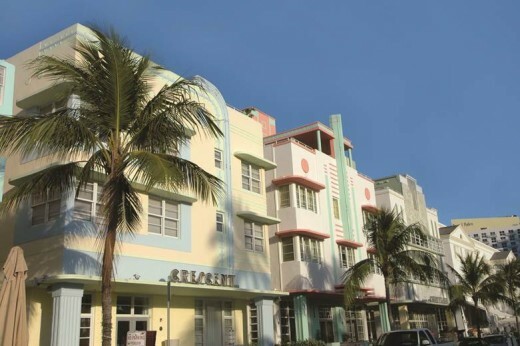 It was not until Lewis Mumford, the greatest architectural critic of the 20th Century, published his landmark work on cities that a coherent explanation of Geddes’ genius became truly understandable. 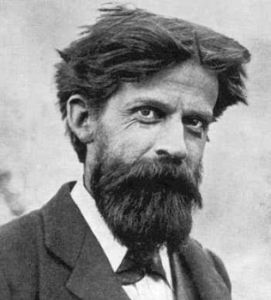 Photo of Patrick Geddes courtesy Wikipedia. Read the entire Dunfermline Report if you wish. Hint to architects. It will impress your boss if your boss knows you are reading the Dunfermline Report. Good luck to you. You will need it. It is easier to go straight to Lewis Mumford who served as the great man’s Aaron, in keeping with the Biblical story. The story says Moses could not speak the word God spoke to him because he burnt his tongue with a fiery coal. Instead, Moses whispered in his brother Aaron’s ear and Aaron spoke God’s word beautifully. Earlier this year, I had emotionally disturbing tests to find out whether I continue to have kidney cancer and whether a tumor which had developed on my chest was cancerous. After surgery, the pathologist said I have not developed another cancer. Indeed, I have now survived cancer three times. In celebration, I wanted to read something meaty. Something important and significant. The name Lewis Mumford popped into my mind. “Lewis Mumford, KBE (October 19, 1895 – January 26, 1990) was an American historian, sociologist, philosopher of technology, and literary critic. “Particularly noted for his study of cities and urban architecture, he had a broad career as a writer. “Mumford was influenced by the work of Scottish theorist Sir Patrick Geddes and worked closely with his associate the British sociologist Victor Branford. Joel’s note: The decline in crime in New York City over the past decade comes as a pleasant but startling surprise. When I was in college at Columbia, saying, “I was only mugged once” had special significance. It meant I was lucky not to experience worst. Many classmates and Barnard women and faculty members went about their daily tasks cautioning themselves not to walk in dangerous areas—portions of streets—so as to avoid being robbed, hurt, or raped. 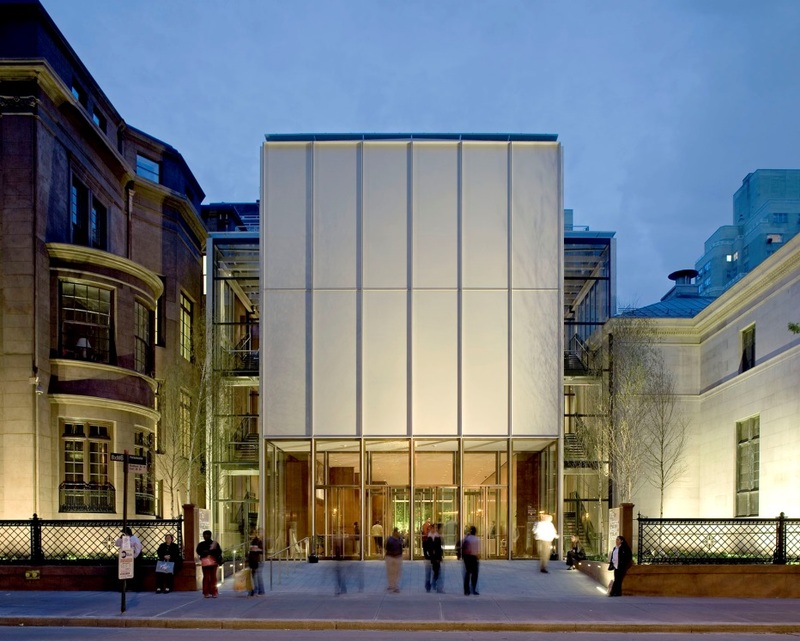 Now, Renzo Piano is building an annex to Columbia in a neighborhood so dangerous during my student days that Sudden Safety surprises me. The trouble with New York City is that I could never afford to live there. Joel recommends: Purchasing The Lewis Mumford Reader lovingly edited by his protégée and biographer Donald L. Miller, Pantheon Books, New York, 1986. Mumford taught me to study the community in which I live. More importantly, he reassured me that I myself have been studying all along. I have been influenced by design since I was a child. My 1995 paraplegia taught me that I had to pay more attention to design if I were to survive. What lesson have I learned from all this reading? Taking stock. Where do I live? For the past 10 years I have lived in State College, PA. How do I make use of the injunction quoted at the beginning of this column and made comprehensible to me by Lewis Mumford? Isn’t the answer to where I should start planning is where I live, where I can make a contribution? The above 10 minute video was published by permission of the Borough of State College. Copyright 2014 by C-Net. My calling to be a Solon in the small borough in State College came about because I know the mayor. Earlier this year, I asked Mayor Elizabeth Goreham for an interview in her office in front of the seal of the Borough of State College. The lengthy interview for e-architect focused on the subject of saving small towns like State College so they can serve as communities where everyone can live productively. The mayor and I are on a first name basis. We hug when we see each other. Two years ago, there was a serious fire alarm problem at the nursing home in which I live. The Mayor was there for me. The fire chief solved the problem with the help of the police chief—each of whom I have come to know well. Elizabeth introduced me to Jon Eich, a former Centre County Commissioner and a member of the planning boards for the Borough of State College and the Region. Jon Eich told me about the visitability movement. Before I knew it I was testifying before a public commission not realizing it was being broadcast on television. Local politics in the Borough of State College is astonishingly complicated. It reminds me of tasteless jokes about Luxembourg’s size during my sadly brief sojourn to the Grand Duchy of Luxembourg. The Borough Council passed an ordinance allowing four live chickens to reside in the Borough. The staff of the Borough is superb. Plus a lot of earnest and talented people give their time and intense attention even in long meetings on zoning that go on for two hours. The Mayor asked me to run as a candidate for the Borough Council next year. As a member of the Council I would have the power to vote on zoning-related issues that affect the elderly and disabled in this community. 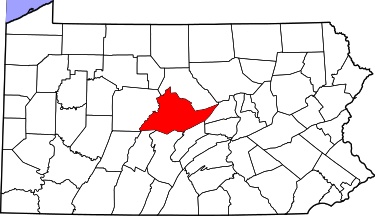 I would be given a greater voice in my efforts to integrate the Borough of State College so it benefits from the cash-laden community of retirement villages that surround us. The temptation to run for public office is intoxicating. If I do decide to run, you will be the second to know. First, if I announce, I must announce in the Borough of State College, PA rather than in Scotland where e-architect’s staff is not registered to vote in U.S. elections. September 22, 2014 in Columns.